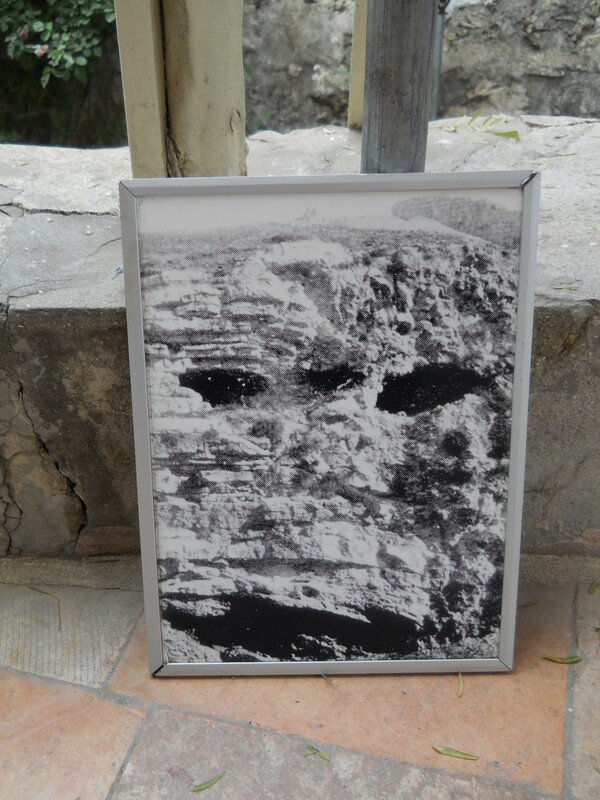 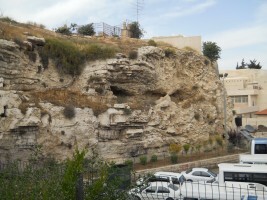 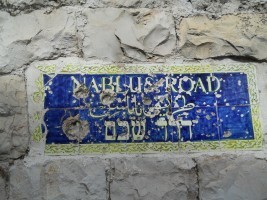 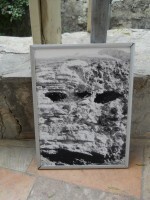 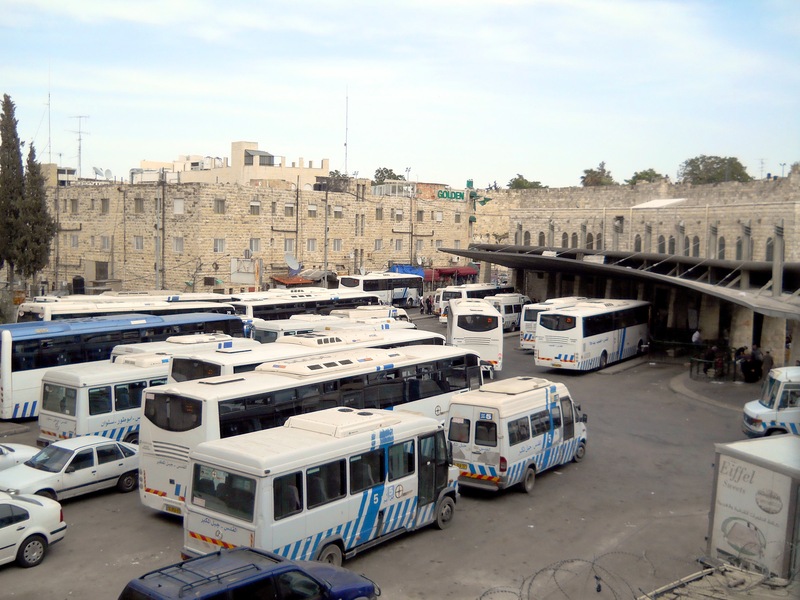 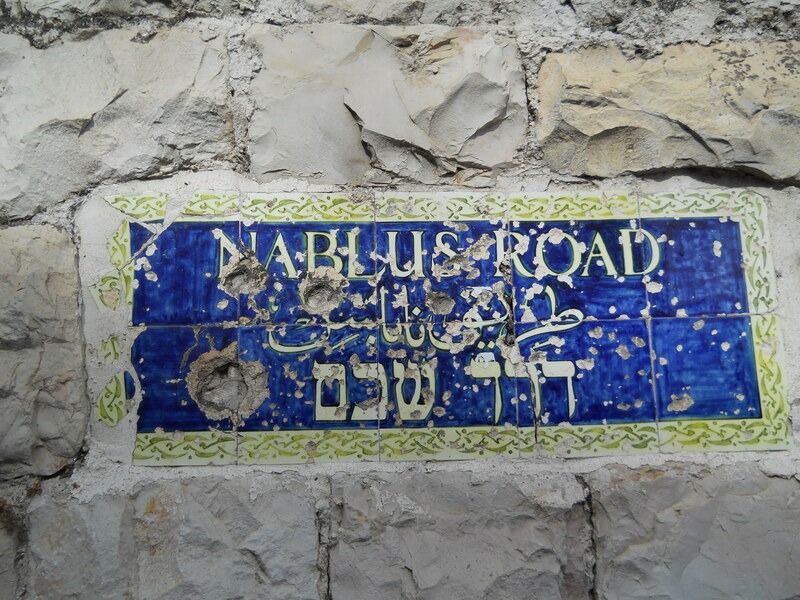 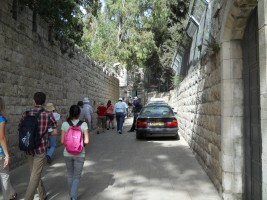 On a visit to Jerusalem in 1883, British general Charles Gordon (1833-1885) looked down from window outside the Old City and was struck by the skull-like features of a cliff near the Damascus Gate. 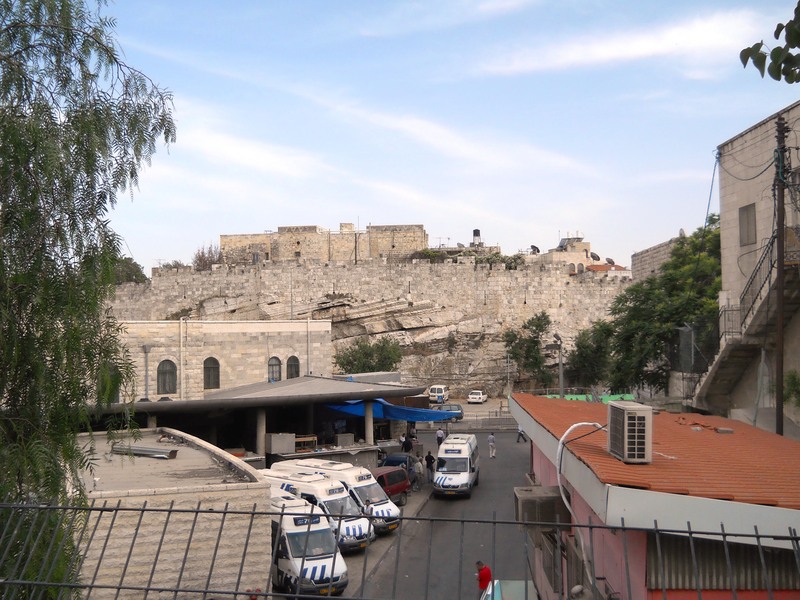 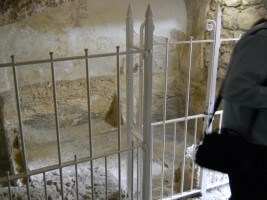 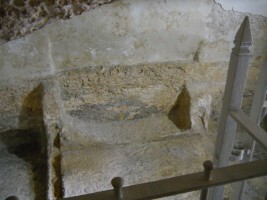 He became convinced that this, rather than the Church of the Holy Sepulcher was the "place of the skull" or Golgotha mentioned in the Christian Bible as the location where Jesus was crucified (Matthew 27:33). 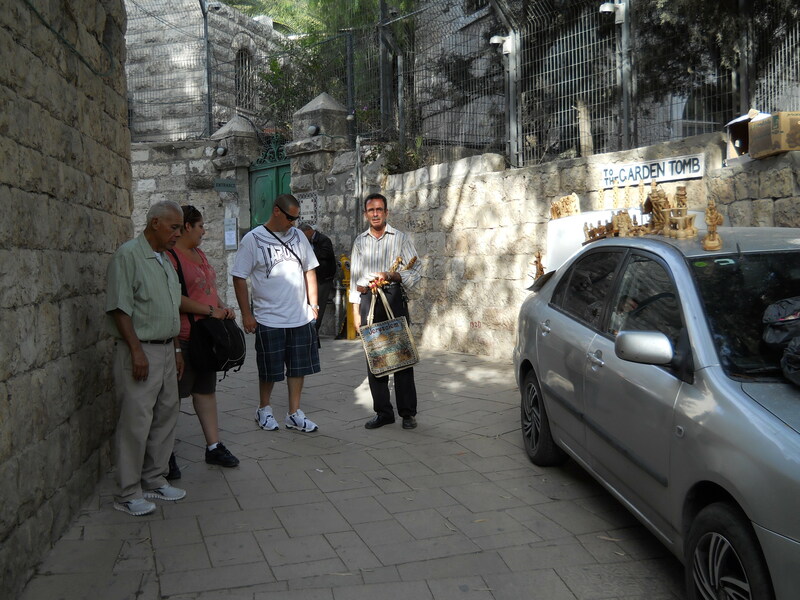 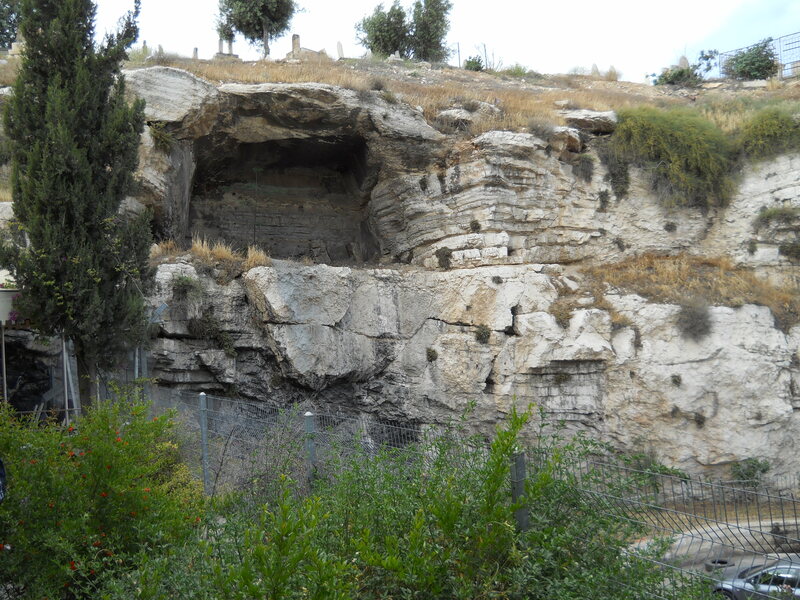 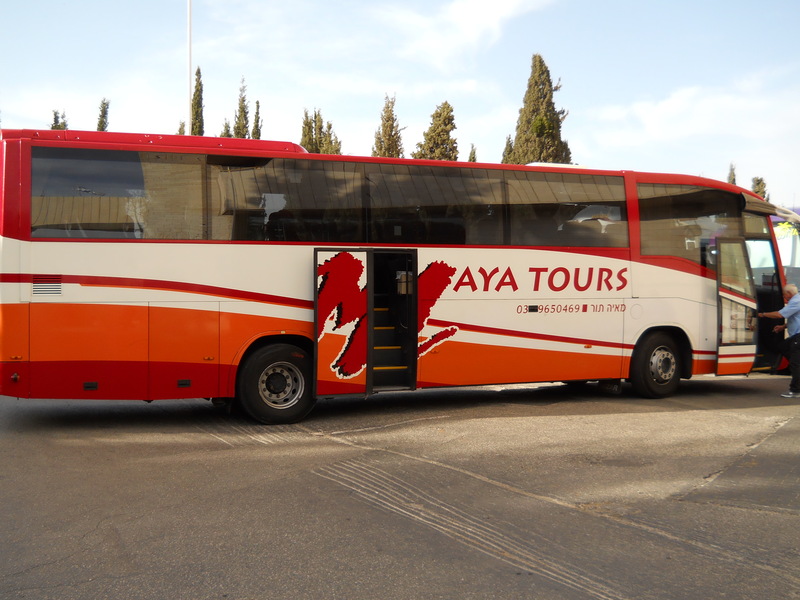 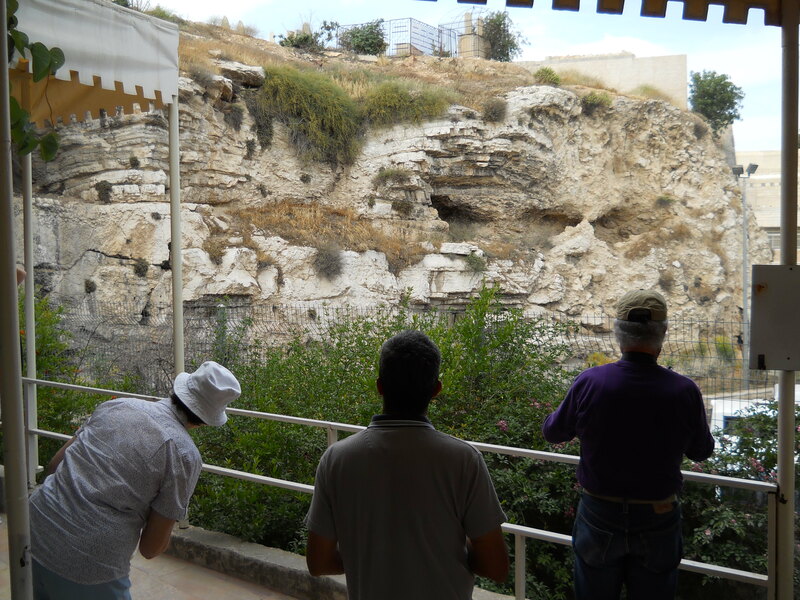 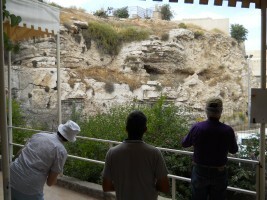 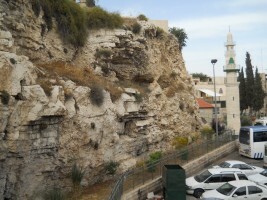 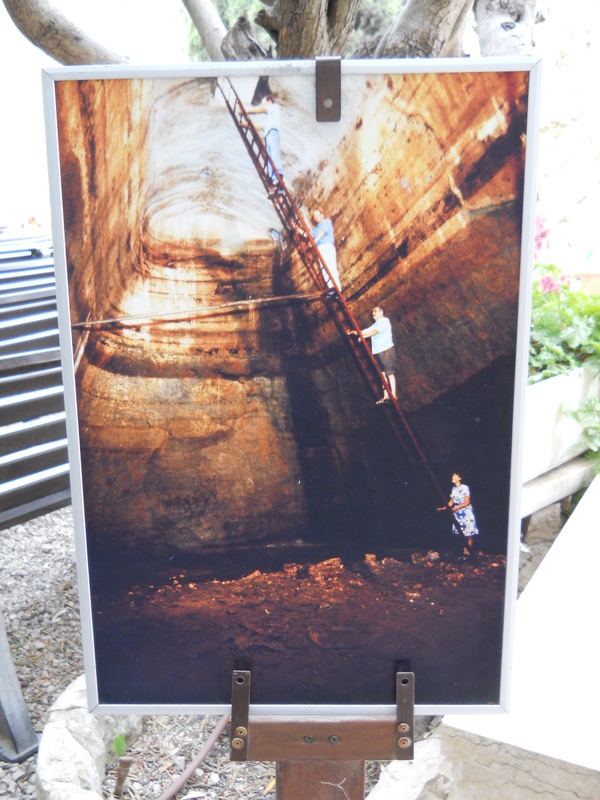 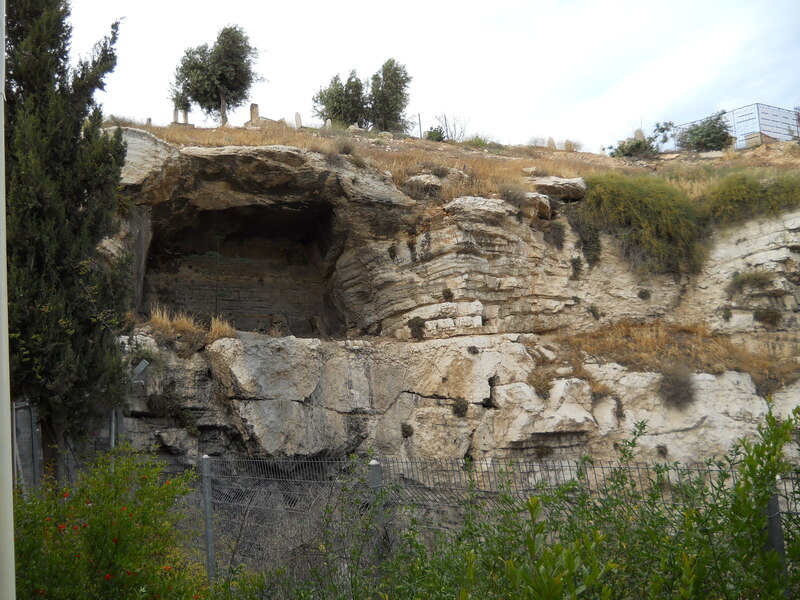 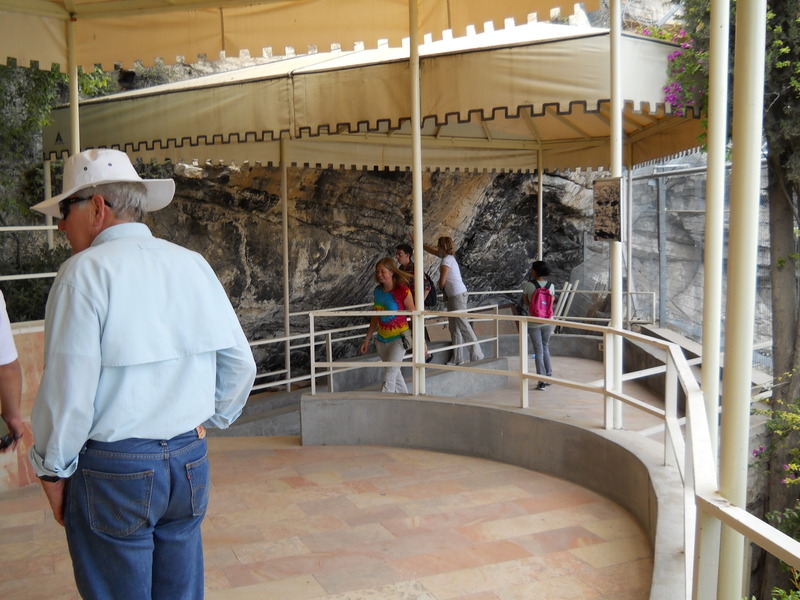 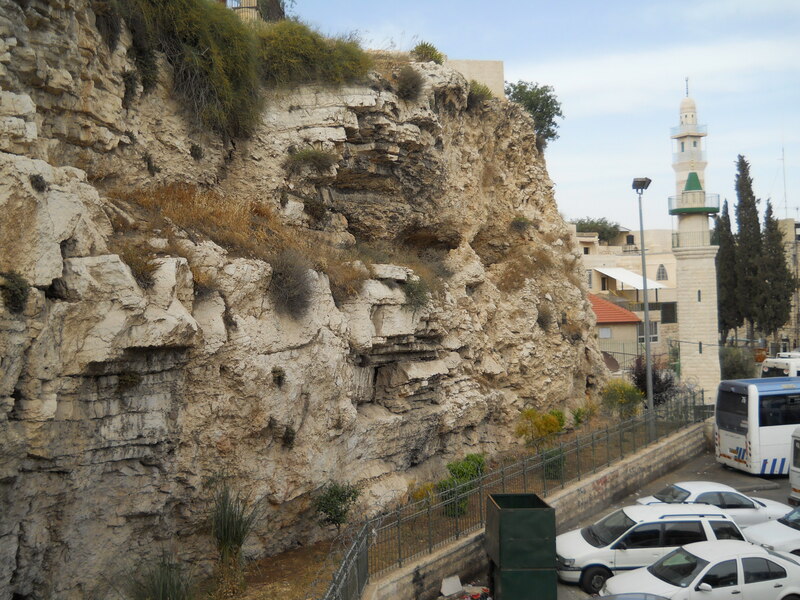 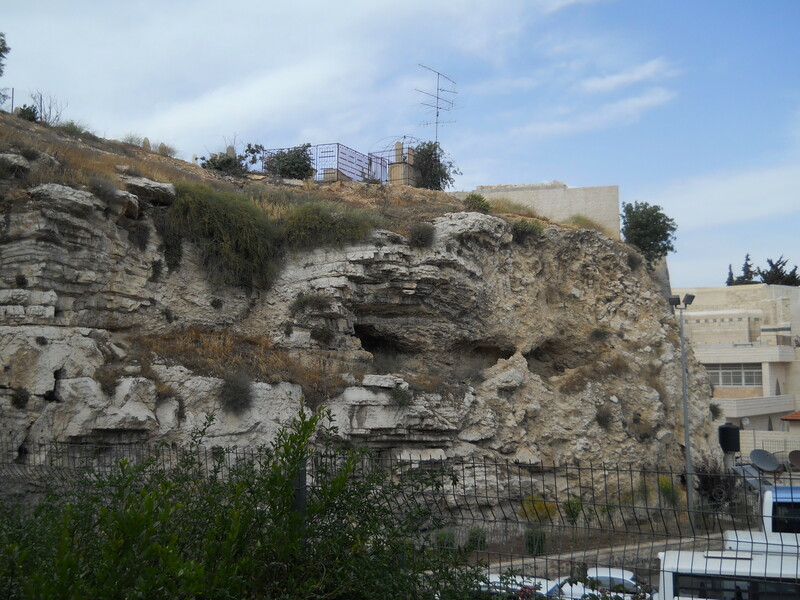 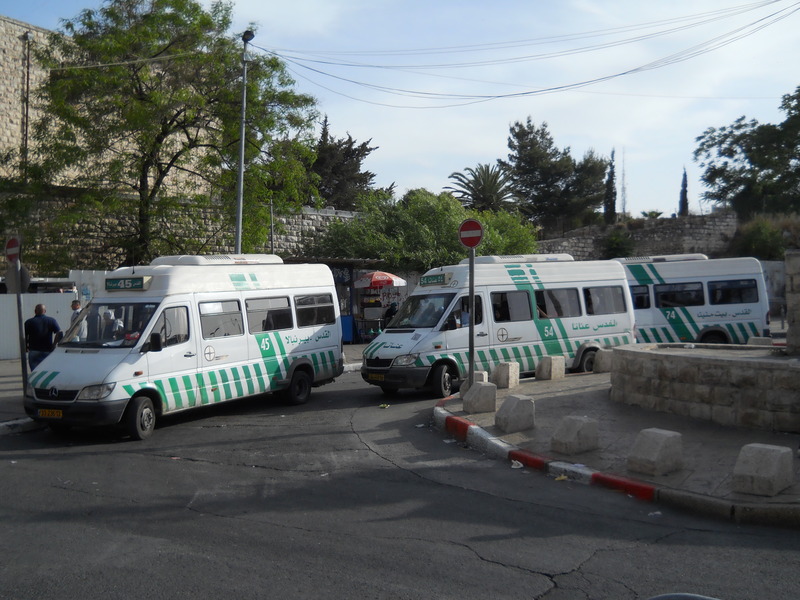 Rather than the three crosses on a remote hill commonly depicted in artistic conceptions, such a Roman public execution would have been carried out in a highly-trafficked area like the one below the cliff, which was occupied by a busy Arab bus terminal at the time of our visit. 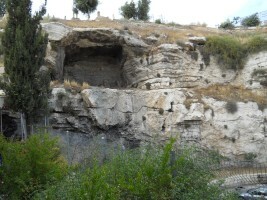 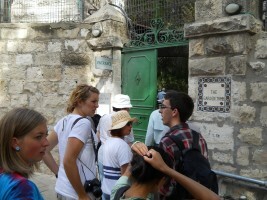 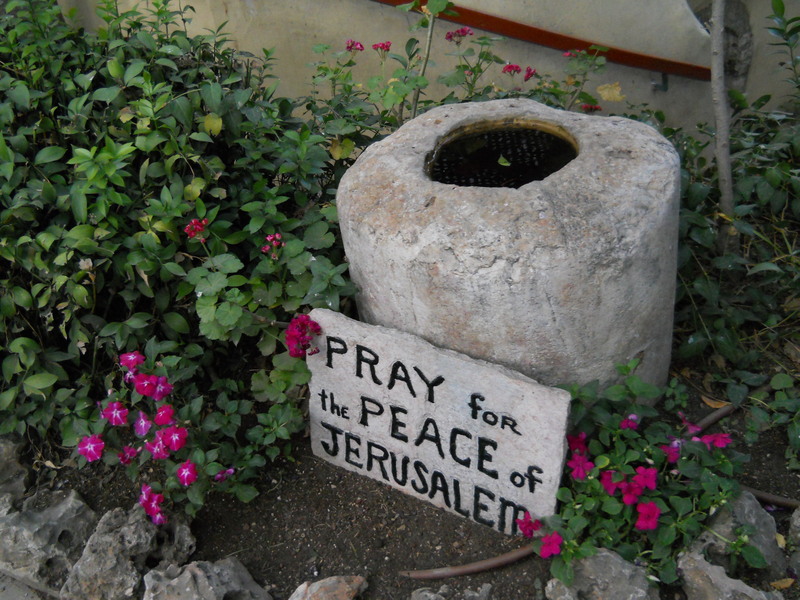 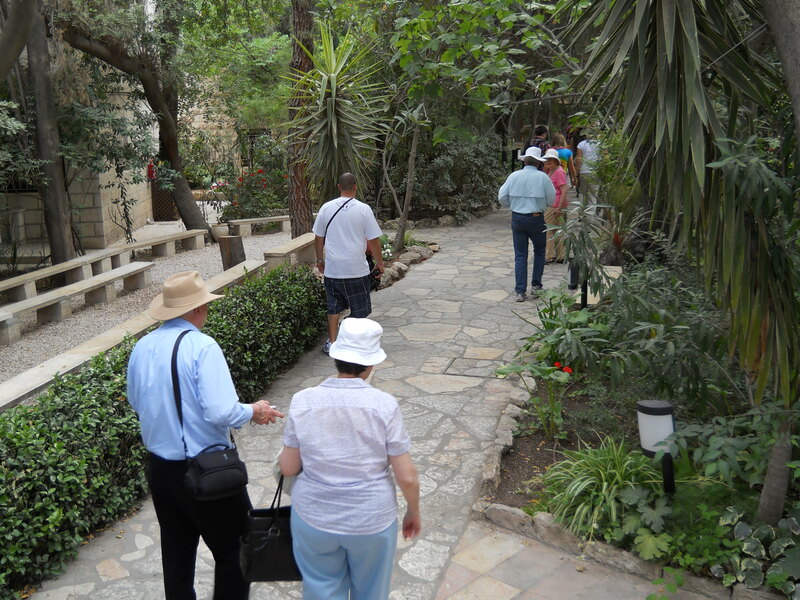 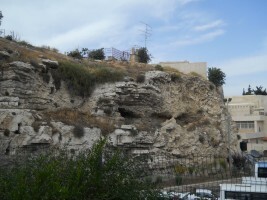 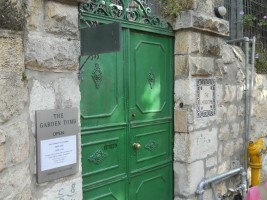 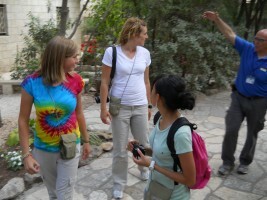 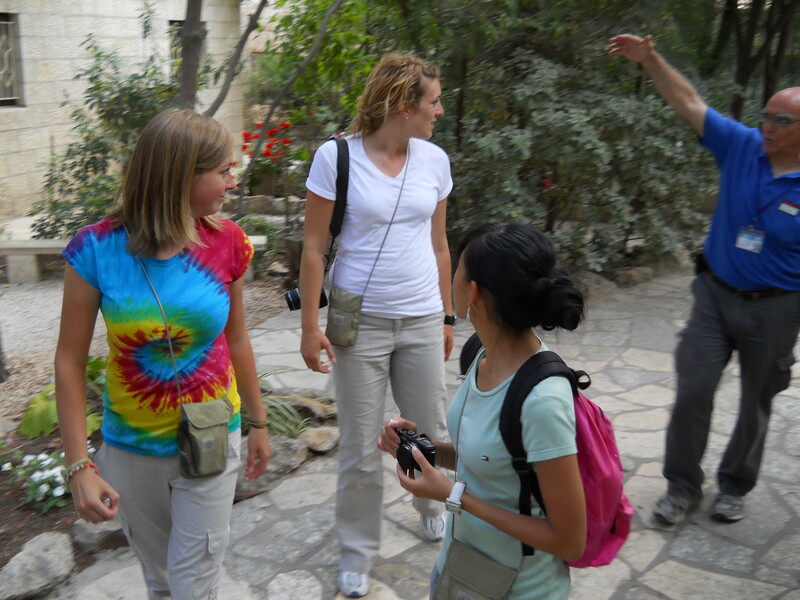 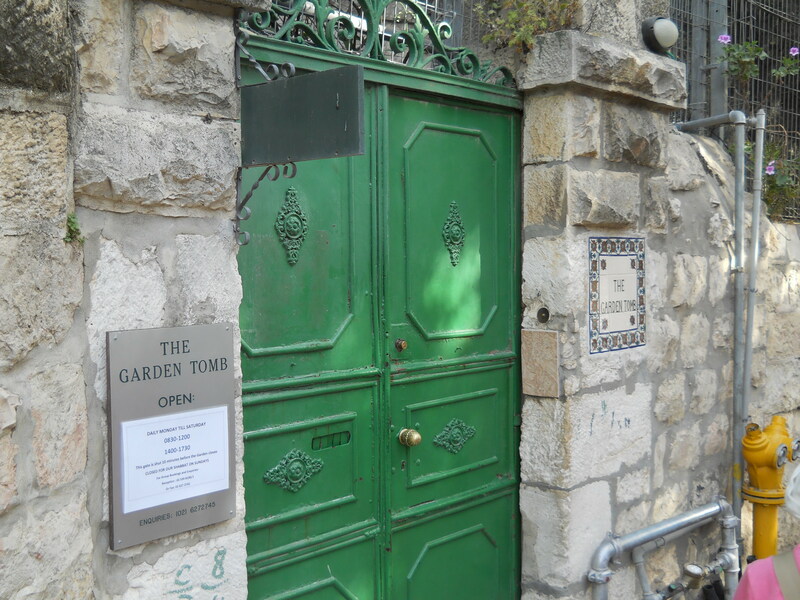 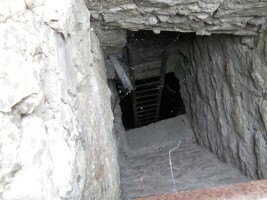 Additionally, an adjacent site included an ancient rock-cut tomb (Matthew 27:59) and later excavations revealed a cistern and wine press that would be typical features of an ancient garden. 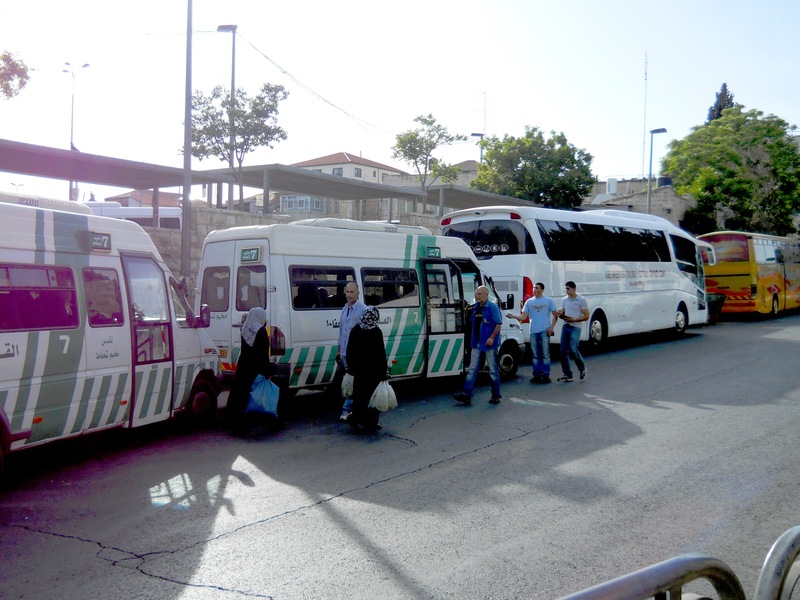 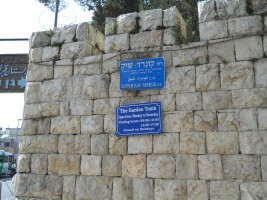 Gordon published his thesis in his book Reflections in Palestine and it gained significant popularity in England. 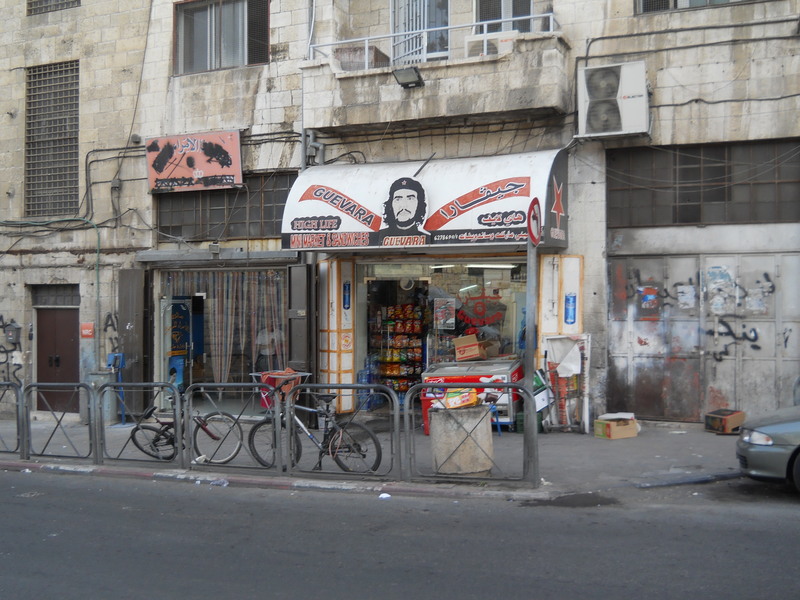 A couple of years later, Gordon was killed fighting Mahdist rebels in Sudan - a story memorialized and romanticized in the 1966 Charlton Heston / Lawrence Olivier film Khartoum. 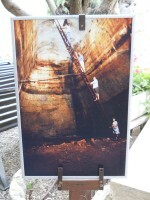 But Gordon's idea survived him and a fund raising campaign in England resulted in the purchase of the site in 1894. 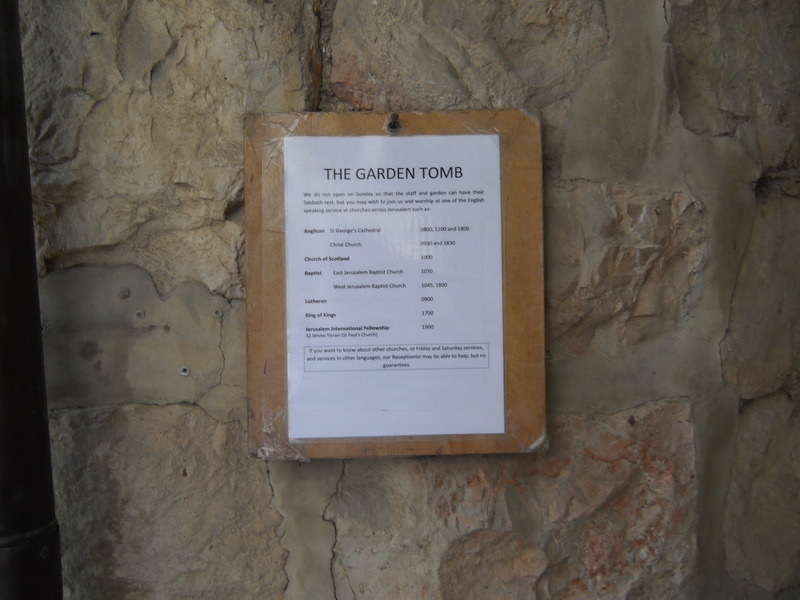 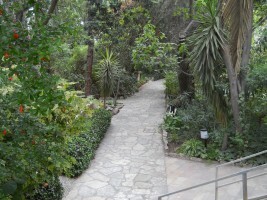 The site was landscaped as an English-style country garden and converted into a peaceful, contemplative, Anglican alternative to the chaos, ritual and ornamentation of the Orthodox and Catholic Church of the Holy Sepulcher. 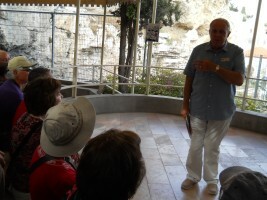 The guide for our tour was a soft-spoken volunteer with a nice British accent. 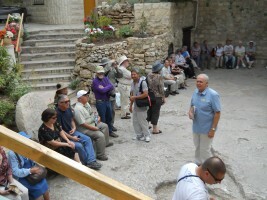 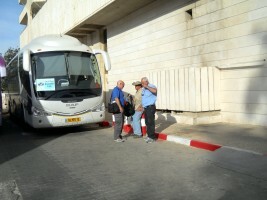 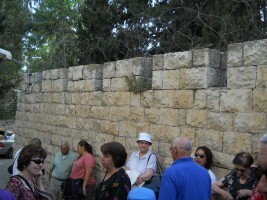 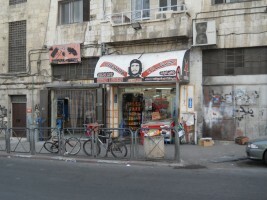 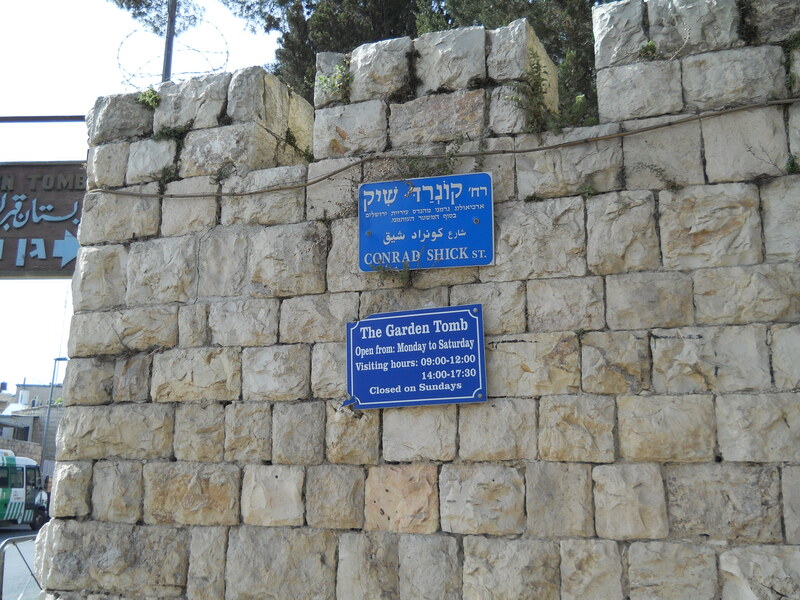 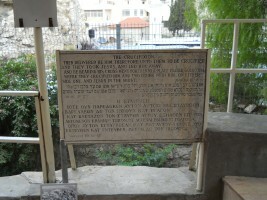 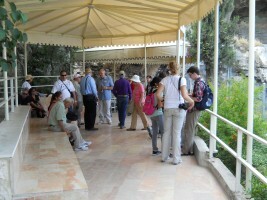 While discussing the histories of the competing locations he mentioned that both could not be the site, but that it was also possible that neither was the location - an acknowledgment of the faith component that many of us openly called refreshing in contrast to the unquestioning veneration exhibited at so many other traditional sites. His elucidation of the biblical argument for the location was firmly post-Reformation in tone and rationality, making it much more convincing to a group dominated by moderate and liberal Protestants. 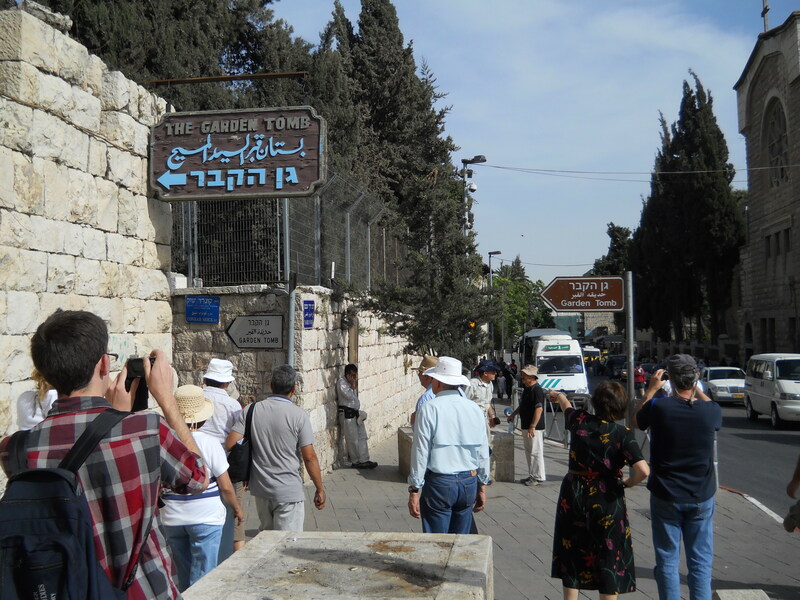 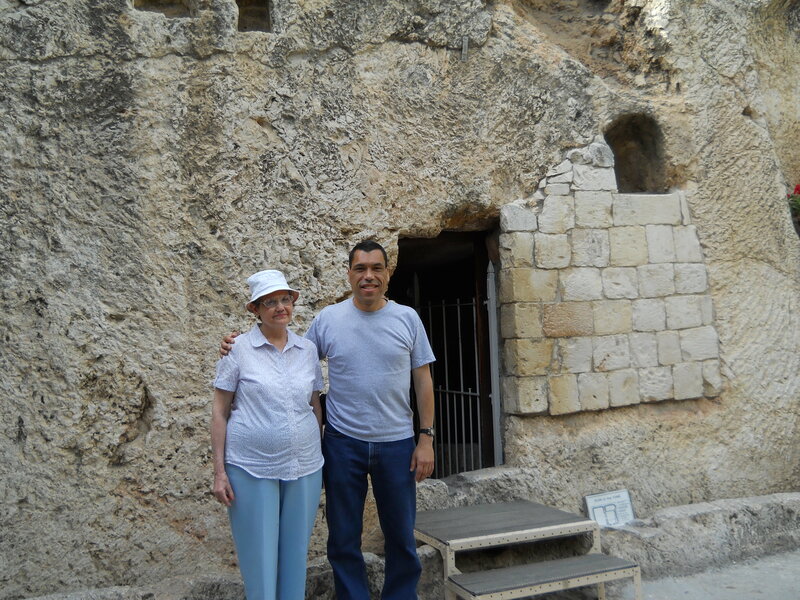 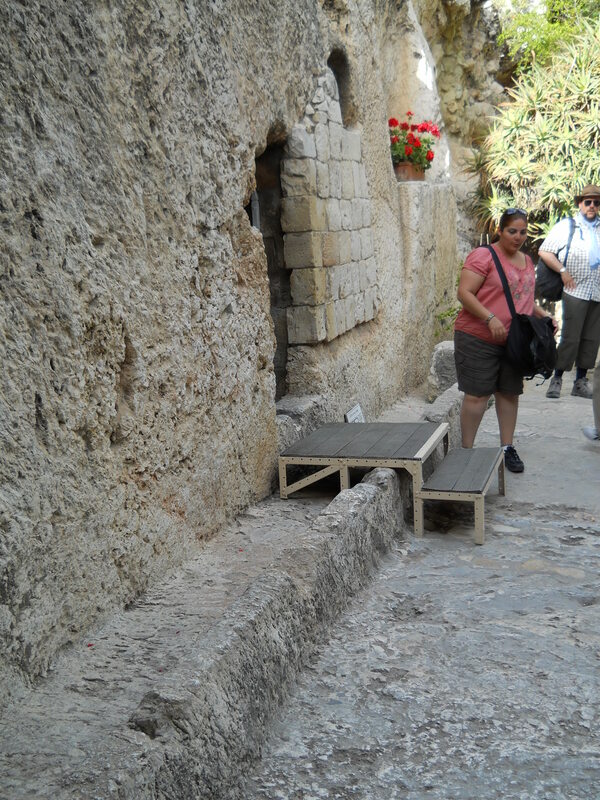 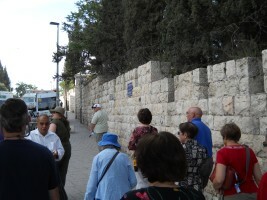 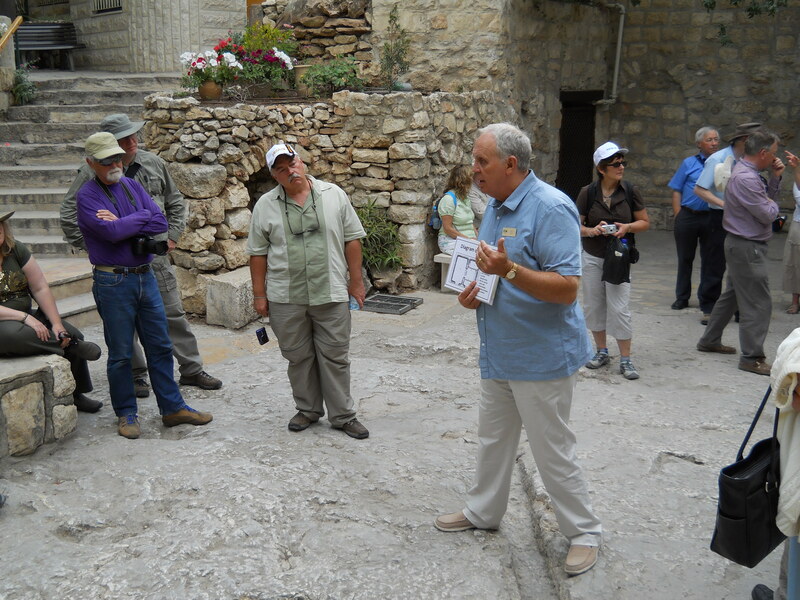 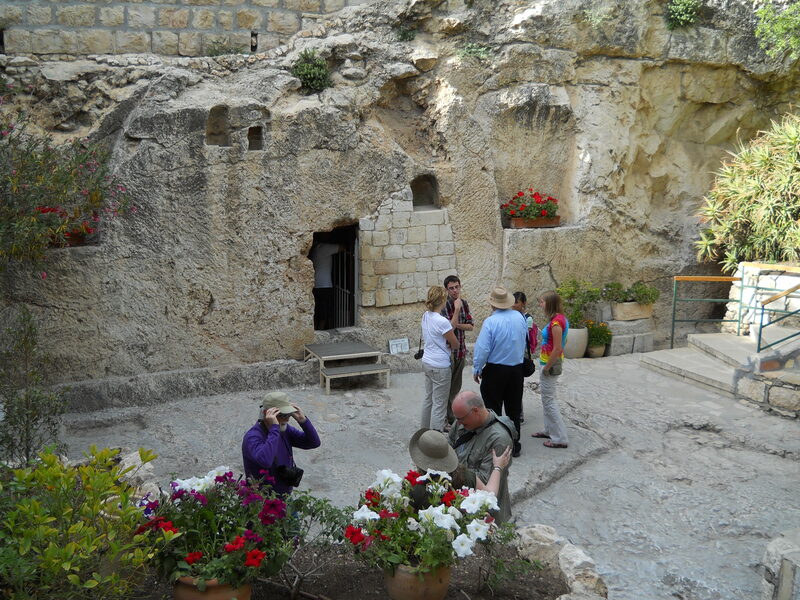 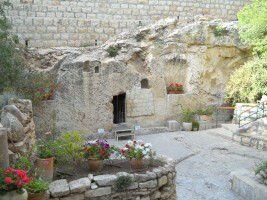 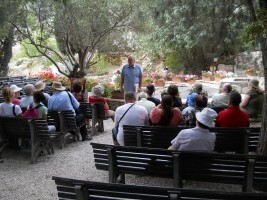 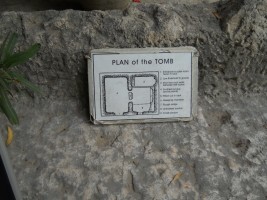 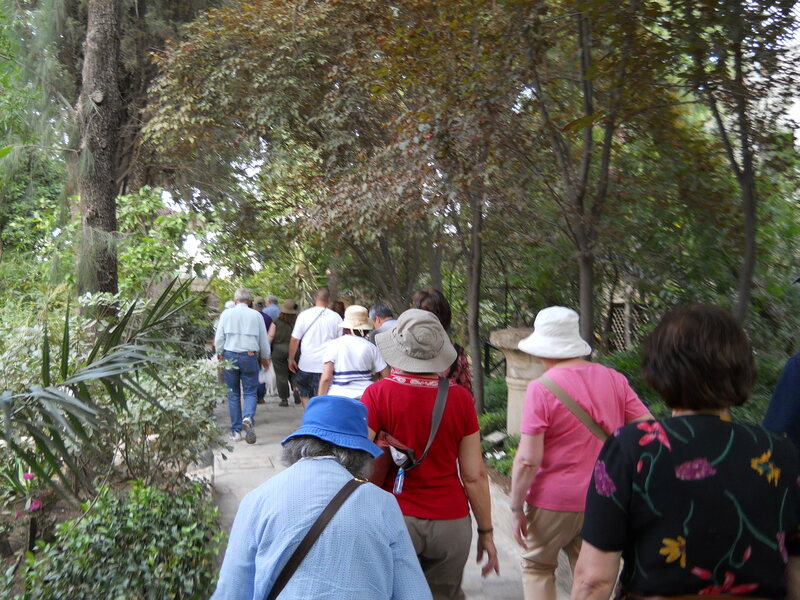 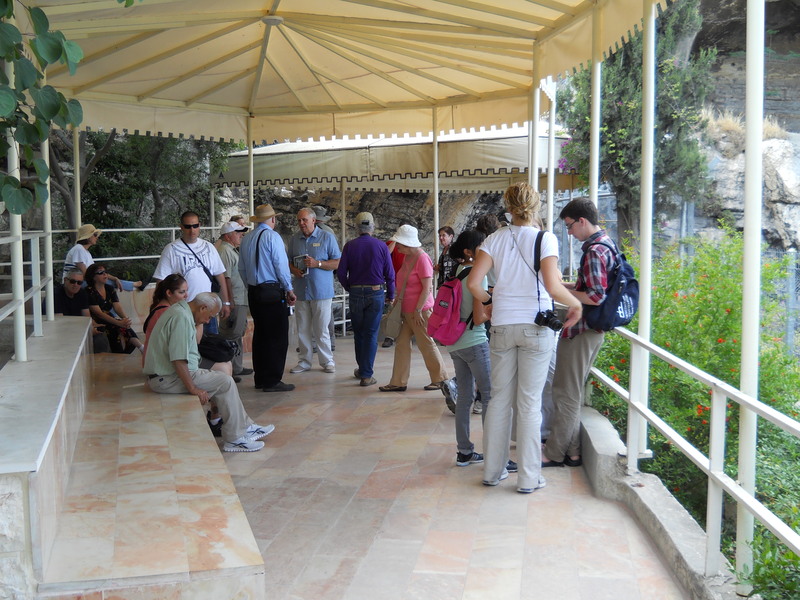 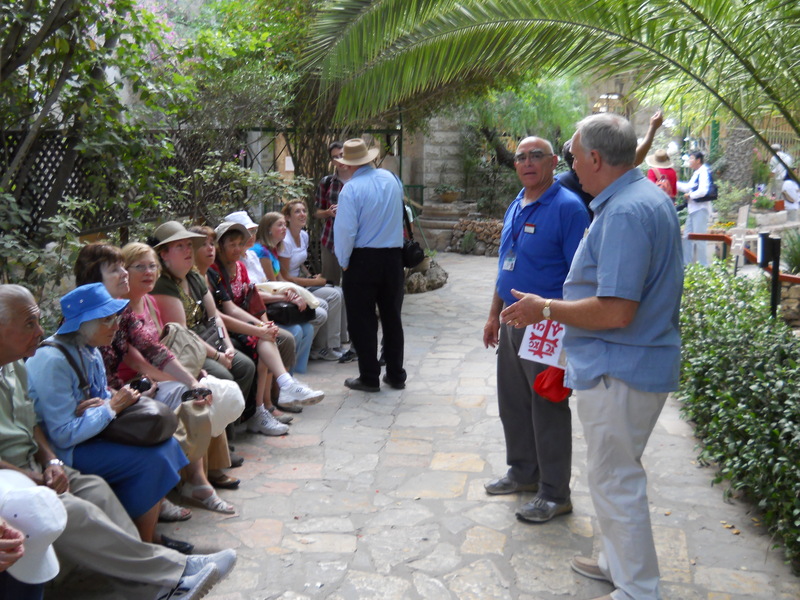 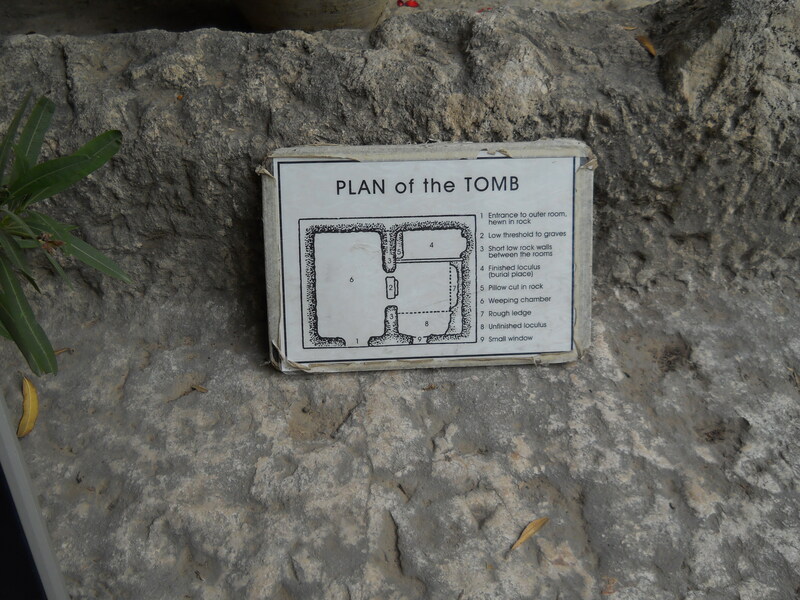 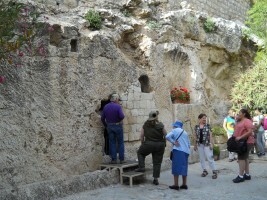 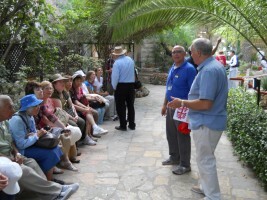 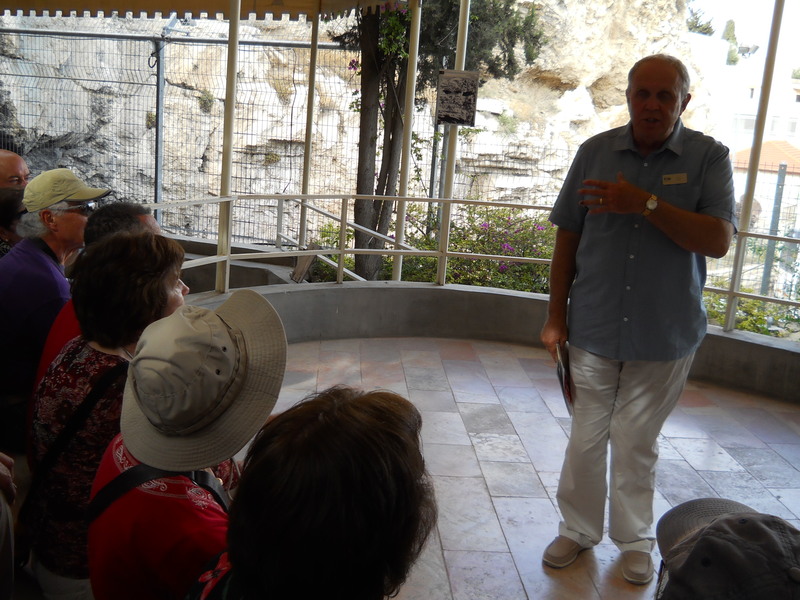 Whether this was the actual geographic location then became less relevant than the spiritual meaning of the story as the guide admonished us that if we went into the tomb looking for Jesus, like his apostles so many centuries before, we would not find him there. 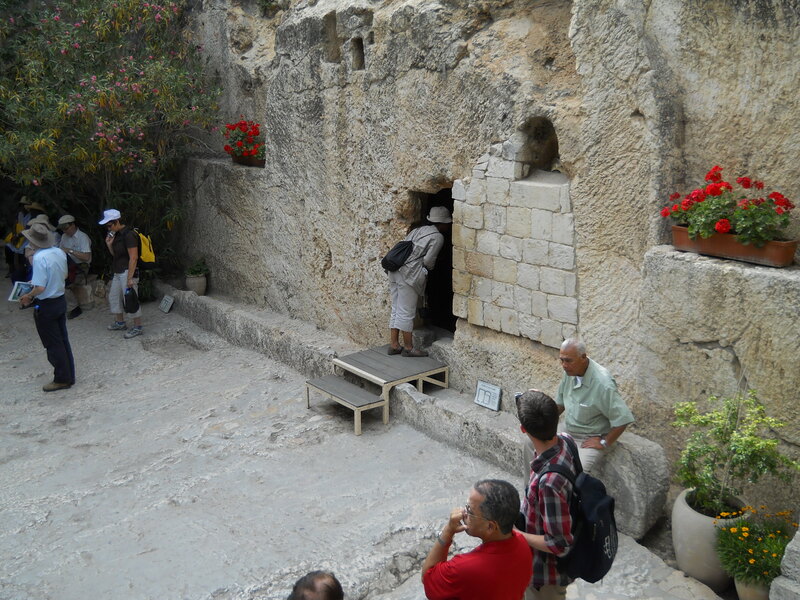 Accordingly, if we brought Jesus into the tomb with us, we should not leave him there, but bring him along with us as we went back out to face the world he came to save.